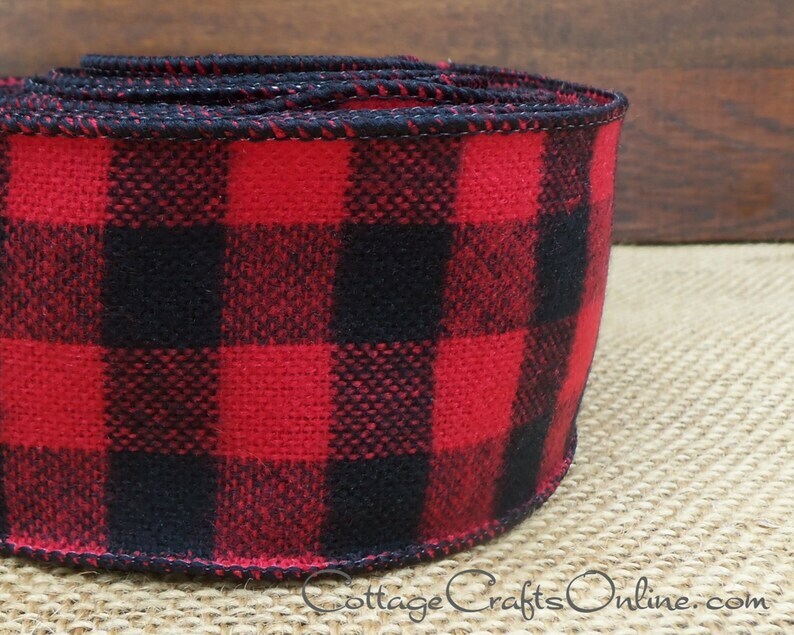 Flannel wired ribbon, 2 1/2" wide, in the timeless "Buffalo Plaid" combination of red and black. This is so cute, stylish and seasonal - what says winter better than flannel? This bold tartan plaid will make craft and decorating projects stand out. This ribbon is very nice quality; the colors are vibrant and the ribbon has good body. I was having a difficult time finding a buffalo plaid that didn't look like printed Christmas ribbon, as I'm using it to make a ring bearer pillow for my niece's wedding. My order was delivered quickly and I appreciated the nice note enclosed!